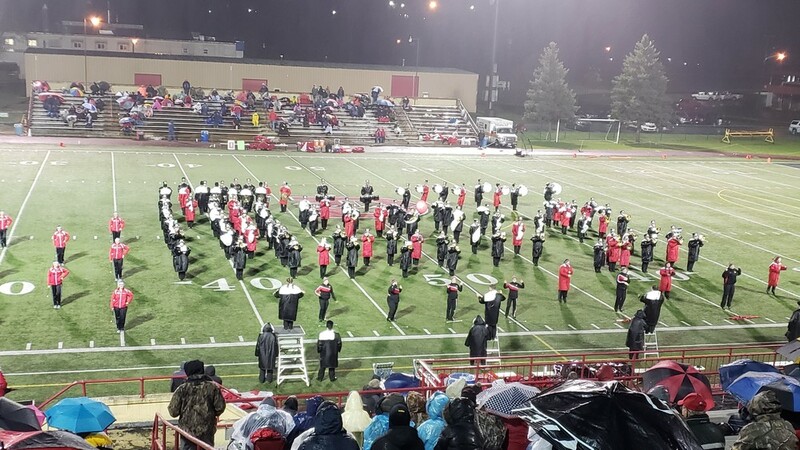 While the weather was not great for musical performance, the high school bands from last night showed how working together can result in success. Bellefonte's band stopped at Clearfield on the way to the game last night for a combined chance to eat and then put together a combined show of the two bands. Fans in attendance got to enjoy "God Bless America" and "Louie Louie". If you have not yet got a chance to experience the Bison Band at half time, another week awaits as State Playoffs begin next week!